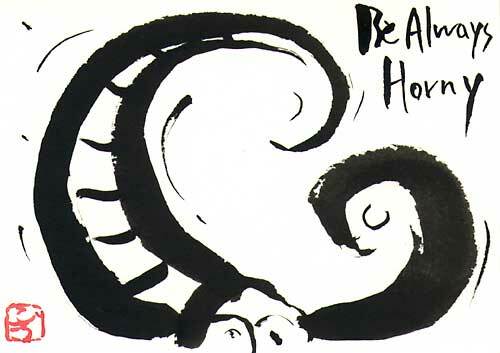 A new year's greeting card in 1991, created with brush and Japanese ink(sumi). Hiro seemed to establish his unique brush technique with this work. Please put your mouse pointer on the photo. when she first went to New York. 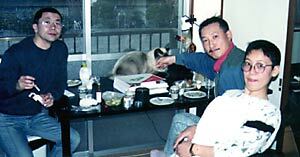 Erico Narita, who introduced me to Hiro. living in New York City and Arizona.